Perk up winter pallor with a bronzer from Bourjois, Avon and Rimmel! Bourjois Bronzing Primer - $24 - with a light, velvety texture that smoothes, evens and mattifies the skin. Contains cocoa beans and orange blossom elixir for radiance, hydration and the added bonus of a yummy chocolate fragrance! With a universal bronzing shade that matches all complexions and that you can wear under foundation or on its own to perfect the skin. 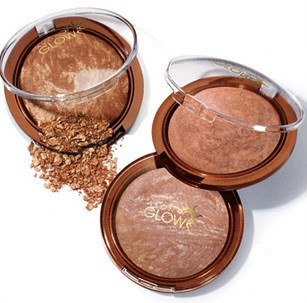 Avon Marbleized Bronzer - $15 - in 3 shades: Glam Glow, Beach Glow and Natural Glow - with swirls of sun-kissed shades that blend together for a multi-dimensional glow. 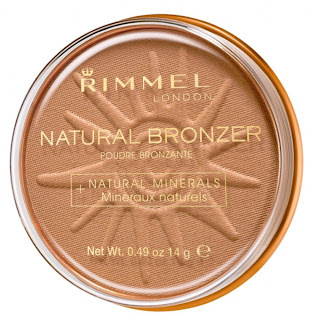 Rimmel Natural Bronzer - $8.99 - in 5 shades: Sun Shine, Sun Glow, Sun Light, Sun Bronze and Sun Dance - for a warm, healthy glow year round with a soft, silky texture and an enhanced waterproof mineral formula to ensure a natural sun kissed glow all day long.